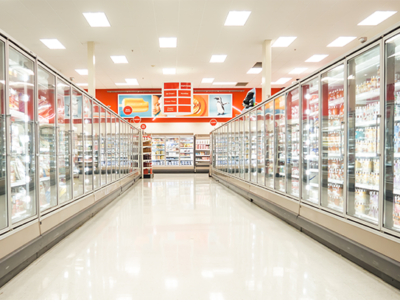 Many refrigerators have doubts about the state of the compressor when evaluating problems in a refrigeration system: whether it is burned out (and therefore should be discarded and replaced) or is working well and the cause of the problem is otherwise. 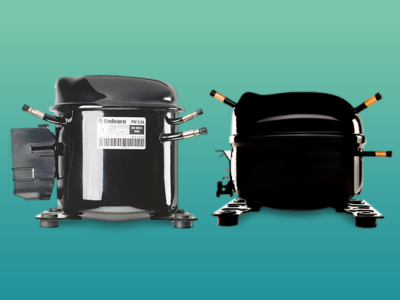 At the customer’s residence or business premises, it is not possible to carry out all the tests that are performed at Embraco laboratories, which would allow an extremely precise diagnosis of the condition of the compressor. For example, there is no way to do an adequate compression test. For this, more sophisticated devices are needed along with testing. It should be noted that all Embraco compressors are already thoroughly tested when leaving the production line. The chance of trouble is minimal. 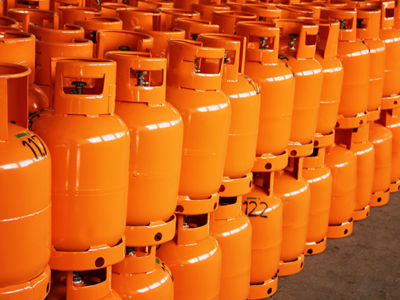 In addition, improperly and improvised compression tests can pose a risk to the compressor. One possible problem is the presence of dirt or moisture in the compressor itself or in the system. As with compression, it is very difficult to diagnose the condition of the valves at the compressor location. After all, it is not recommended to open hermetic compressors. This valve check should only be done at Embraco’s laboratory. 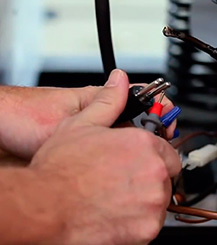 Another important tip is to never turn the compressor on outside of the system to test it. 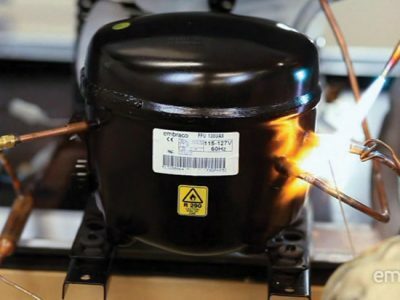 This procedure, for testing lamps, for example, is not suitable for compressors and can cause irreversible damage. Having made these initial observations, there should be mentioned some tests and verifications that can be carried out and that help a lot to know what the situation is. In order to show the importance of these simple tests, it is enough to remember that, for lack of a well done evaluation, many compressors returned to Embraco are in conditions of use. 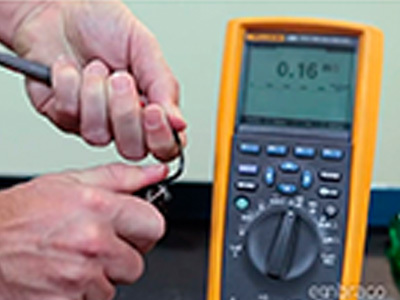 A multimeter is sufficient to do a good part of the checks, related to the electrical continuity. To get started, make sure you have power at the location. For experienced and skilled professionals, it may seem silly to recommend this, but sometimes the “problem” is right there. After that, it’s time to do the initial electrical continuity check, remembering to unplug the equipment before starting. 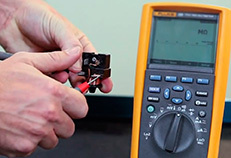 With the multimeter, check the continuity of the connection cable. The next step is to check the condition of the electrical components. To do this, using a multimeter, see if there is continuity in the thermal protector. If it does not exist, this component is corrupted. If the problem is this – and not the burning of the compressor -, the solution is simple: just replace the thermal protector. • In the case of an electromechanical relay for F and EG compressors, it must be placed vertically, with the coil down, verifying continuity between terminals 10 and 11. • In the case of the electromechanical relay for the EM model, there are three checks: 1) between terminals 1 and 2, with the relay in any position; 2) between terminals 1 and 3, with the relay in the upright position and its bobbin up; 3) between terminals 1 and 3, with the relay in the upright position and its coil down. In the first two checks, if there is no continuity, it is necessary to change the relay. In the third case, it is the opposite, if there is continuity, there is a problem and the relay needs to be replaced. Another fundamental and simple check is related to the state of the main and auxiliary coils of the compressor. The goal is to know if any of them are interrupted or burned. Begin by measuring continuity on each coil (always with the compressor disconnected from the mains). If there is no continuity, the compressor is burnt (photo at the top of this page). Also check that the coils are in accordance with the ohmic resistances reported in the compressor data sheet. If this value appears different from what is stated in the data sheet, it means that the compressor is damaged and may be inoperable. With the growing market presence of Embraco Fullmotion variable speed compressors, there are many doubts regarding the accompanying inverter. It should be noted that this is a very sensitive electronic component, which requires specialized knowledge to be evaluated. No repairs should be attempted on it: in case of problems, it should be replaced. To facilitate the identification of possible problems as well as situations that you do not have to worry about, we have developed a basic table for the inverter diagnostics, which is below. Always use it and avoid problems with this component! What’s the most suitable place to install a condensing unit?